These Bulldogs are wide and low making them ideal for their original purpose of bull baiting. 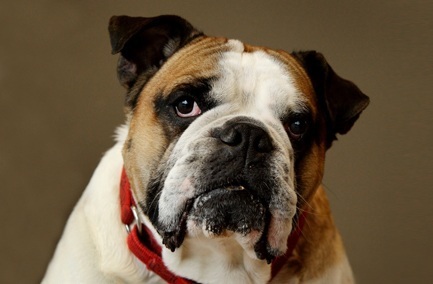 Selective breeding to reduce muzzle length has resulted in dogs that cannot tolerate hot weather or exercise without significant breathing problems (Brachycephalic Airway Syndrome). Their gentle, easy-going personalities make them excellent pets but prepare for many medical issues over their lifetime. Pet insurance is a must.